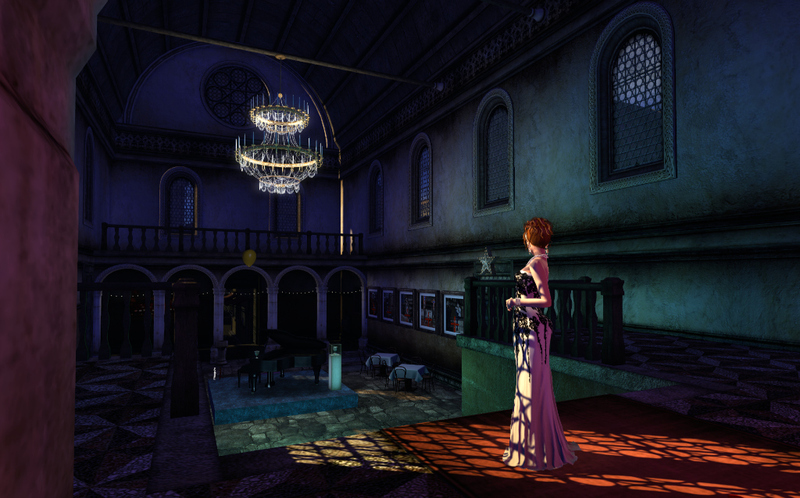 One of the things on my SL Bucket List is to see a live performance at the Basilique Playhouse. I first became aware of this virtual theatre group when they staged Romeo and Juliet in 2013 and last year, Paradise Lost. Unfortunately, the showtimes didn’t mesh well with living in Australia, so I didn’t have the opportunity to experience the immersive performances. I have read about the shows, watched clips on Youtube and seen the Drax Files episode. Artistic Director Canary Beck and Technical Director Harvey Crabsticks have brought live theatre to a new level in Second Life. However, that didn’t stop me from finally visiting the Basilique Region. I was stunned by the amazing build, the attention to detail in every texture and placement of each item. I wandered around, breathing in the ambiance, wondering at the beauty of this sim. It is truly a destination in itself, whether a performance is running or not. Luckily, it seems that I will have my opportunity to finally see Paradise Lost, and hopefully, a new live performance later this year. Canary Beck (aka Becky) has shared her intentions for Basilique, and she has a plentiful platter of plans for 2015. I nearly swooned when I read everything she has on the go for Second Life; when I picked myself up off the floor, I nearly swooned again, imagining what her calendar must look like! While I wait for the release of the movie, the new production and even her book (! ), I was content to just take a few photos of this amazing Second Life destination. These are completely raw shots, taken in the Basilique Playhouse Ballroom. As I stood at the top of the stairs, remembering long-ago days when I participated in live performances, I realised we are all tiny dancers, put here to share our talents with the world. Becky has set the benchmark. I did wander, a lot 🙂 It is a place I could spend hours.